The apartment was in a perfect spot! Close to many locations. Très bel appartement, super bien situé et conforme aux photos reçues, a très vite ???? This modern Barcelona apartment is situated on the exclusive Passeig de Gràcia street, close to two of Gaudí´s well-known masterpieces: Casa Batlló and La Pedrera, as well as some of Barcelona´s most famous designer stores. Accommodating up to 5 people, it is ideal for families, couples and groups of friends visiting the city. The apartment itself has been renovated and has a chic and modern design. It has its own second storey, accessible by staircase, where you will find stylish wooden floors, a double bed and plenty of storage space. The kitchen follows the same modish style as the rest of the apartment and is well equipped with up-to-date appliances and utensils. The well-lit bedroom also has ample storage space and two single beds. 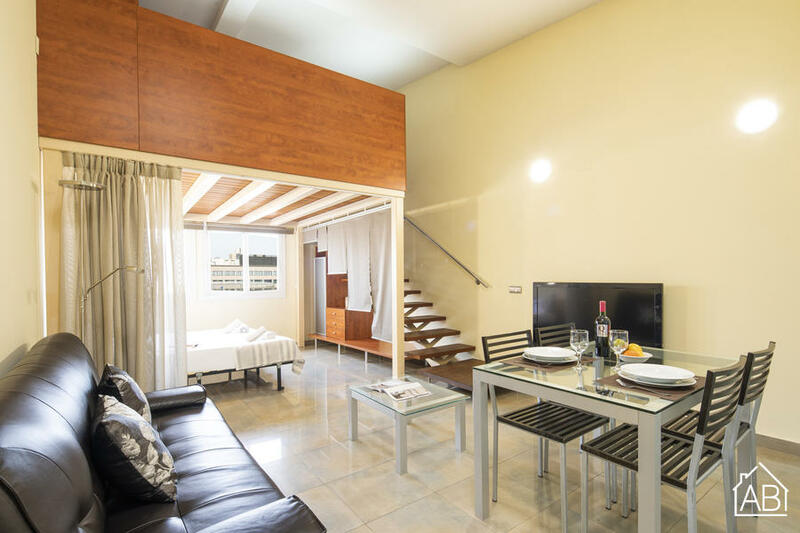 With heating and air-conditioning, this elegant apartment is a great choice for your stay in Barcelona at any time of year.